Unwanted hair may be the most common cosmetic problem today for both women and men. This problem commonly occurs on the face, back, legs, chest, stomach, arms, armpits, and bikini line. Shaving this unwanted hair can be a hassle, waxing can be painful, and electrolysis can be painful and expensive, so finding a good, permanent solution to unwanted hair is an important part of meeting your cosmetic goals. Laser Hair Removal is the latest method for permanent elimination of unwanted hair, and its comfort and convenience makes it the best one for many individuals. The Laser Hair Removal Edgewater and Hoboken residents are using the most is being done at Edgewater and Hoboken Cosmetic & Laser Centers. With four different technologies for removing unwanted hair, Edgewater and Hoboken Cosmetic & Laser Centers have dedicated their mission to provide the very best Laser Hair Removal results possible. These state-of-the-art technologies include the Focus Medical Naturlite IPL and the Focus Medical NaturaLight IPL. Additionally, the Focus Medical NaturaLase LP and QS lasers round out the offerings with the ability to reduce and eliminate hair for all skin type patients from dark to light. Why should I go to Edgewater and Hoboken MedSpa for Laser Hair Removal? Dr. T.G. Khan is comprehensively trained in the use of cosmetic lasers for innumerable purposes. 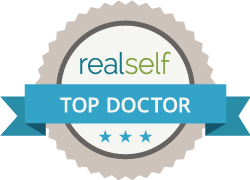 He regularly utilizes lasers for everything from hair removal to vein reduction to skin tightening and resurfacing. His expertise in cosmetic lasers even extends to tattoo removal, so you know that when you choose the Edgewater and Hoboken Cosmetic & Laser Centers, where Dr. T.G. Khan is the medical director and a board-certified physician and cosmetic surgeon, you are selecting peerless expertise in all aspects of cosmetic laser procedures. Call Edgewater and Hoboken Cosmetic & Laser Centers today at 201.313.8899 to set up an initial consultation. Hello laser, goodbye razor!